Brand new a bit over 4" x a bit under 6" color catalogue of the Rolex Oyster Perpetual line. 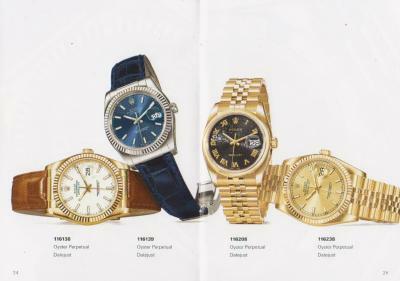 56 pages and a list of the worldwide Rolex boutiques. I'm always happy to combine purchases into one shipment to reduce postage, unless weight and amount of items is an issue. Email us to get the combined total.